What is a Professional Real Estate Agent and What Does He/She Do? A real estate professional is a career agent. As such, this individual will stay informed on local, national and property related issues. The career agent will know the real estate industry and their clients. A professional will place their clients' interest before their own and will focus on service, not sales. A Realtor® is a real estate agent who is also a member of the National Association of Realtors and has agreed to follow their Code of Ethics. What is the Difference Between a Buyer's Agent and Listing Agent? 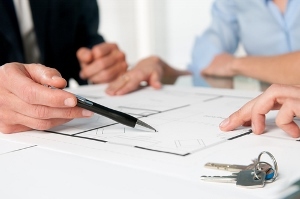 The listing agent represents the home seller and has a fiduciary responsibility to protect their financial interests. Likewise, the buyer's agent has a similar relationship and responsibility to protect the financial and personal interests of the buyer. No. If you have in-depth knowledge of the area, know how to determine property values or can research the sales trends for houses in a particular area in the last few months, feel comfortable drafting and/or signing legal contracts, are confident during financial negotiations and have the time, energy and desire to find a home on your own, you can. If you decide to fly solo, you will probably be working directly with the listing agent. You should remember the listing agent is hired to protect the seller's interests, not yours. If you want an agent to protect your fiduciary interests, you should use a buyer's agent to represent you and sign an Exclusive Buyer Brokerage Agreement. Why Should I Use a Real Estate Agent or Realtor®? Can I Use The Listing Agent As My Own Agent? Yes, you may. However, it isn't a good idea… If an agent is serving in both roles, he/she works as a “mediator” and helps the two parties to come to an agreement, but does not help either party in as much depth. As a buyer, you are not benefited by this relationship. Just because the agent is a listing agent for one home doesn't mean that he/she can't be your buyer's agent for a property that he/she hasn't listed. How Do I Select a Real Estate Agent? Does the agent listen carefully to your responses and ask further questions to clarify your needs and to determine your desires? Is the agent ACTIVELY listening to your responses or have they already “jumped ahead” to showing you homes for sale? An agent should listen intently and then ask additional questions to determine your real needs. For instance, if you have small children, the agent might ask how important it is that you have other children nearby of similar ages. A good agent should help you find a home that matches your life, not just your price range. Does The Agent Act On The Information You Offer? Many agents get excited about a house or a neighborhood they like personally, rather than listening to your needs and determining the best matching homes for your specific situation. The home buying process should be about you and what you want, not about the agent, what the agent wants, or what the agent wants you to have. Does The Agent Seem To Rush You Or Give You “Sales Talk” Rather Than Service? Some agents are pushy and more concerned about making a sale than providing you with the best possible service. A professional real agent is someone who helps you fully define your needs and then works with you to locate options in your price range, in areas that appeal to you, and with the amenities you seek. Did The Agent Provide You With A List Of References, Without You Requesting Them? A professional real estate agent will offer you references.